Understanding the 9/11 Attacks | Kid Reporters' Notebook | Scholastic Inc.
A student visits the 9/11 Memorial & Museum in New York City. The National September 11 Memorial & Museum is located on a 16-acre site in New York City, where the Twin Towers of the World Trade Center once stood. On the morning of September 11, 2001, two planes crashed into those towers, killing nearly 3,000 people and destroying the skyscrapers. “The memorial and museum were created to both honor and remember the lives of those who were killed,” said Jennifer Lagasse, assistant director of education programs at the 9/11 Memorial & Museum. Visitors can experience the events of that day through photographs, videos, first-person accounts, and artifacts. I spoke with Lagasse during a recent visit to the center. She pointed out that not everyone can visit in person. 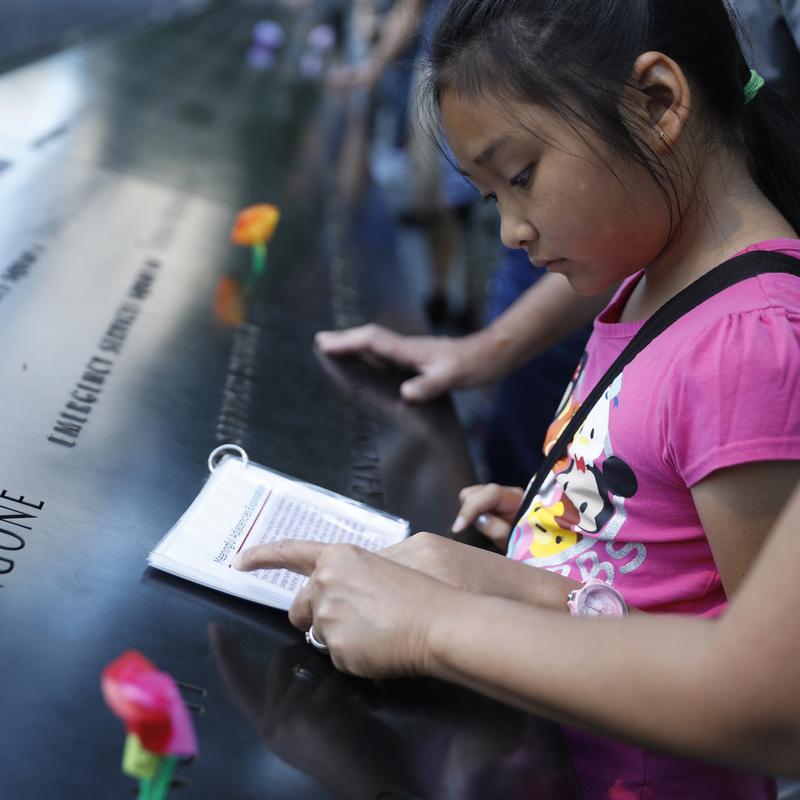 To serve students everywhere, the 9/11 Memorial & Museum created a free online webinar. “We were searching for a way to inform kids who don’t live in the area,” Lagasse explained. Called Anniversary in the Schools, the webinar was filmed in the museum and is designed for students in grade 5 and above. Now in its third year, the webinar is growing in popularity. In 2017, more than 120,000 students participated in the interactive feature, representing all 50 states and Washington, D.C. The webinar can be accessed on demand, with teachers choosing the sections that work best for their students. “Participants view exhibitions within the museum, hear personal stories about the attacks, and have the opportunity to ask questions through a live chat with museum staff,” Lagasse said. Some of the nearly 3,000 names inscribed at the 9/11 Memorial, which is located on the site of the original World Trade Center. The webinar and the museum’s other education programs help students better understand the events of a day that changed the U.S. profoundly. Lagasse noted that the tragedy brought out the best in many people. Volunteers from around the world helped in the aftermath and comforted the families who lost loved ones.